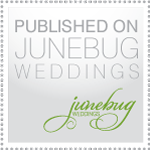 Annie & Kevin’s Ponte Wedding was featured in Nuptials Online Publication! Annie & Kevin’s asian fusion wedding at the Ponte Winery was featured in the Nuptials Online Publication! It is true honor! I love this online publication because there are so many pictures to get inspiration from unlike a lot of magazines out there, where it’s ad after ad. The amazing pictures were captured by Zelo Photography. Check out their wedding on page 97-113 also I was also interviewed alongside with my best friend Thomas Bui on page 245-247. Stephanie & David’s Grand Del Mar Wedding Featured on The Hollywood Reporter! I was so excited to see that our couple David & Stephanie’s wedding at The Grand Del Mar was featured on The Hollywood Reporter! It is such a great shot of them in front of their gorgeous floral chuppah by Kathy Wright. I can’t wait to see the rest of the pictures by Studio Castillero. David & Stephanie! I Wish you both a lifetime of happiness and thank you for having us be a part of your amazing wedding day! First off! I’m so sorry for being behind on blogging =) It’s been a busy month, but that’s a good thing! The beginning of this month, I had the wonderful opportunity to be an exhibitor at the US Grant in downtown San Diego. If you haven’t been there, you need to go. It is absolutely the epitome of ultra chic luxury! Once a year they host one of the most amazing bridal show that I have ever participated in. When I started the design process I wanted to show my style and somehow my personality into the design. I love designing so many different styles, because when I work with a couple, I focus the design on my couple’s style & personality. After all, it’s the most memorable moment in their life! I know it’s cliche but it’s true, from that day of celebration is how their story begins. I had the wonderful opportunity to collaborate with Kathy Wright & Co (the amazing Kathy herself) in figuring where to start. I told her I loved the twilight wedding, I loved all the dangling white florals outside in the woods! She showed me an amazing custom table runner from Wildflower Linens that I just fell in love with. From the fabric inspiration we pretty much designed everything around that. I love fabrics that are highly textured (as you can tell this runner was). I have some chandeliers that I use for weddings, and I wrapped it in this natural bark with white damask paper to go with the fabric. I rented the wood table and bench from Pow Wow Vintage Rentals, they were the perfect size and super cute! I wanted the space to stand out and be cozy so I rented 4 large real ficus trees to surround the wood chuppah and I had them covered in twinkle lights (I love it! It reminds me of fireflies). The icing on the cake was the gorgeous menus & table sign designed and made by the lovely Jennifer of J.Grace Luxurious Event Stationary. They were so gorgeous, everyone that showed up had to touch and feel them! One of my favorite parts is the large calligraphy chalkboard! I made the chalkboard myself (first attempt!) and Jessica of Moira Ink calligraphy it for me. Isn’t she amazing? Okay, I’m sure you are tired of my rambling! Here are the professional pictures from the amazing Gene Higa Photography & Braja Mandala of Mandala Weddings! A HUGE Thank You for everyone that sponsored and participated in helping with this booth!